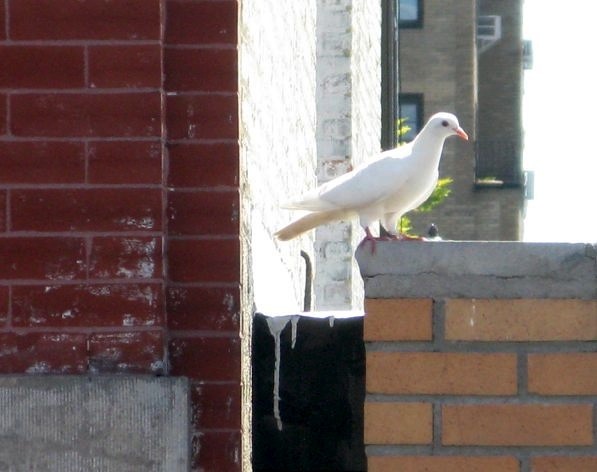 Last week I posted a picture of this beautiful white pigeon I started seeing and this morning there was a flattened dead white pigeon in the street. Yeah, I know, there are millions of pigeons, but I never see white ones and well, I loved seeing it across the street and now it’s dead. Sad. Sure looks like one of these. It does. My poor dove.